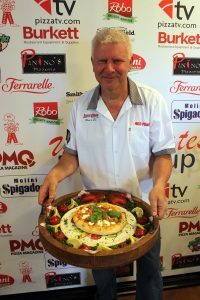 Oceanside, Calif., August 28, 2018—The U.S. Pizza Team (USPT), sponsored by PMQ Pizza Magazine, continues its search for the best pizzaioli in the country. 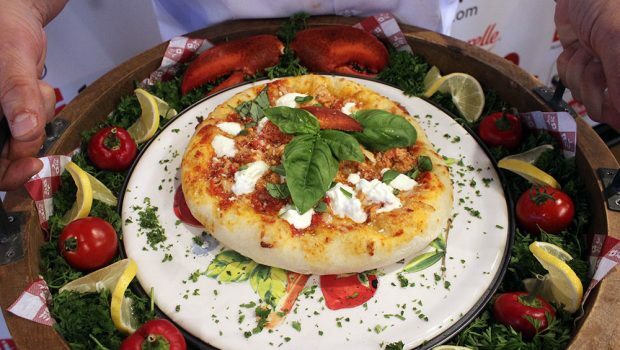 Pizza-making talent from across the United States competed at the 2018 West Coast U.S. Pizza Cup, hosted by Dominic’s Italian Restaurant. 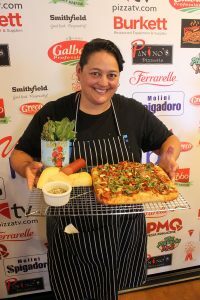 The two-day event hosted 10 competitors each day in both the Classico (non-traditional) and Pizza in the Pan divisions. 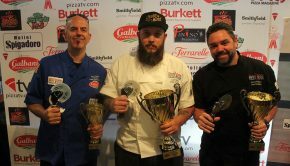 Competitors vied for the top prize of a spot on the USPT as a premiere member and a trip to Parma, Italy, to compete in the World Pizza Championship (WPC) in April 2019. 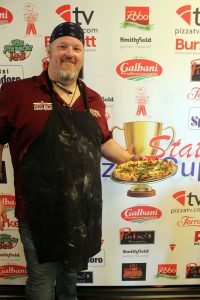 David Conti of Red Planet Pizza and BBQ in Ansonia, Conn., went home as a champion in the Classico division, landing Conti a place as a USPT Premiere member, a spot at the WPC in Italy, and an invitation to the World Food Championships in Orange Beach, Ala.—and he was crowned a Galbani® Professionale™ Representative for the USPT. 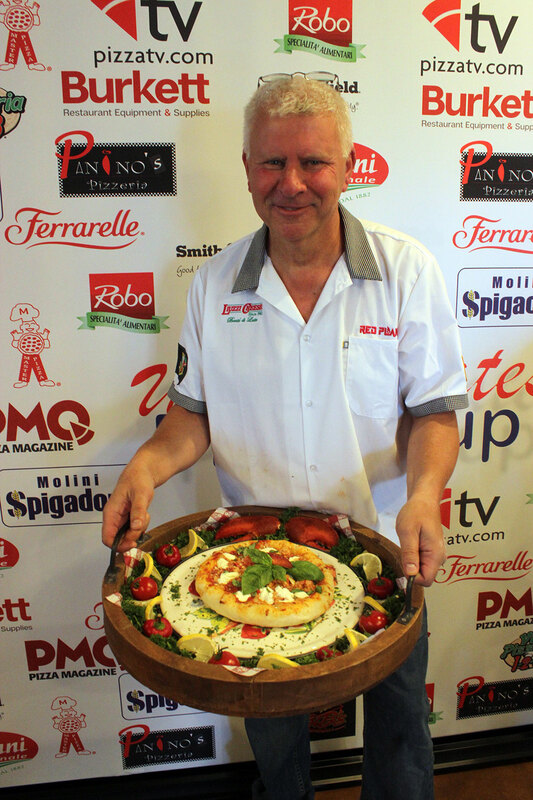 The winning pie, Lobster Fra DiaVolo Pizza, named by Conti, featured scamorza cheese, Jersey fresh crushed tomatoes as sauce, Maine lobster meat, organic local cherry tomatoes, grated Galbani® Pecorino Romano, Stracciatella, fresh basil, sea salt, pepper and Italian seasoning. Second place in the Classico category went to USPT member Michael Stevens of Palo Mesa Pizza in Arroyo Grande, Calif., with his Momma Pie, topped with housemade sausage, red onions, jalapenos, Galbani Fresh Mozzarella, nectarines, cilantro, garlic and olive oil, finished with a balsamic vinegar aged 18 years. Rounding out the top three was Daniel Saccone of Saccone’s Pizza in Austin, Texas. Saccone’s pie featured Texas barbecue sauce topped with whole-milk mozzarella, Nueske’s applewood-smoked, pepper-coated bacon and smoked pork/bison sausage, finished with caramelized onions in a balsamic reduction with fresh basil. The Pan division saw a sweep for the top three places from West Coast competitors. 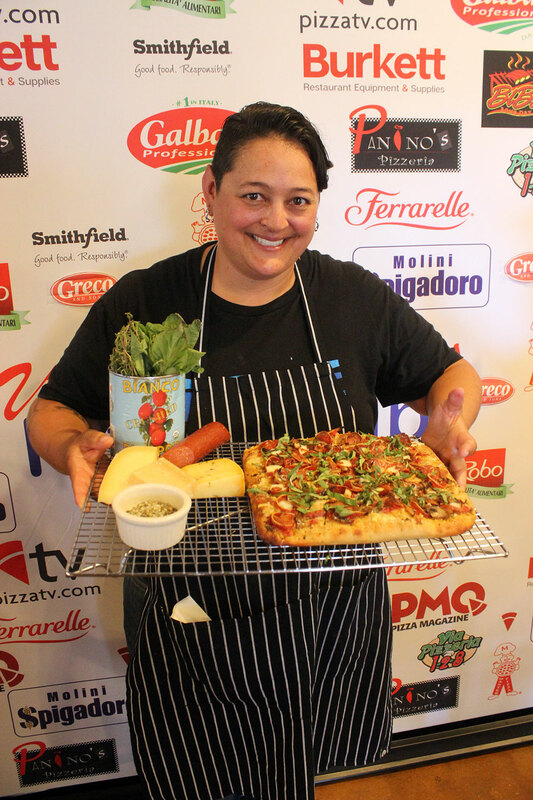 Taking home the grand prize in this division was veteran USPT member Leah Scurto with her rosemary-infused Grandma pizza crust. The winning pie featured Bianco DiNapoli sauce; a medley of oyster, shiitake and cremini mushrooms sautéed with shallots, garlic and fresh thyme; two styles of pepperoni (pan-fried Molinari and Swiss American Cup and Char); and a cheese blend of truffle Gouda, Point Reyes Toma and Galbani Whole Milk Mozzarella. 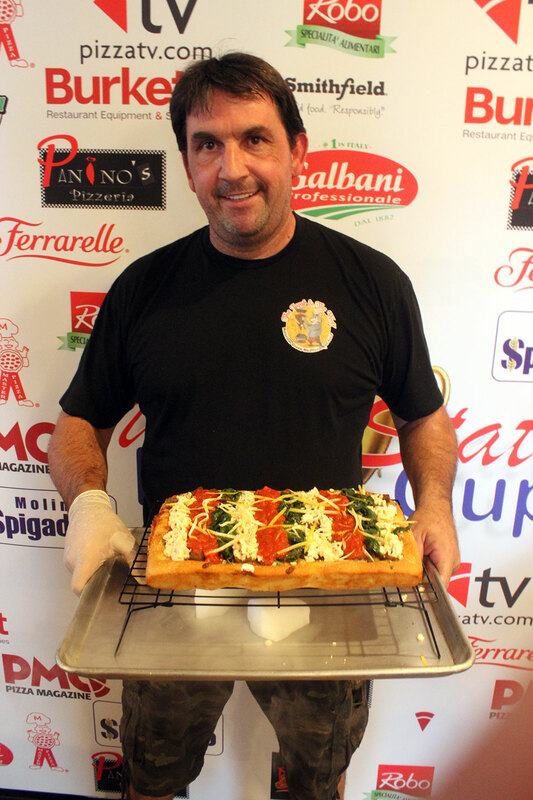 Scurto finished the pie with fresh basil and a Parmigiano-Reggiano aged 36 months. Second place for Pan style went to Lars Smith of State of Mind Public House and Pizzeria in Los Altos, Calif. Lars took silver with his Grandma Betty’s Ratatouille pie, a Roman-style pizza crust topped with organic California tomato sauce, mozzarella, housemade Italian sausage, a menagerie of summer vegetables, and fennel salad. 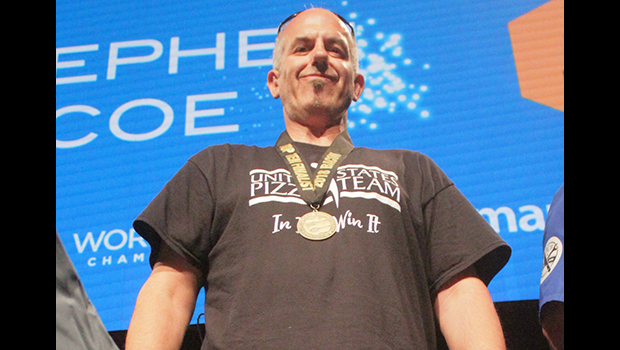 Taking third place was Michael Athanasopoulos of The Lamb & The Wolf in Rocklin, Calif. 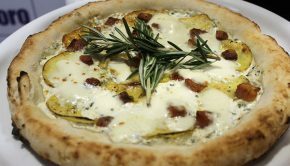 Tapping into his Greek roots, Michael created a gyro-themed pizza, melding the flavors of Greece with the colors of Italy. Topped with a Devanco lamb and beef mix, Galbani Premio Low Moisture Part Skim Mozzarella and lemon zest, the pie was finished with stripes of marinara sauce and sautéed spinach to resemble the Italian flag. 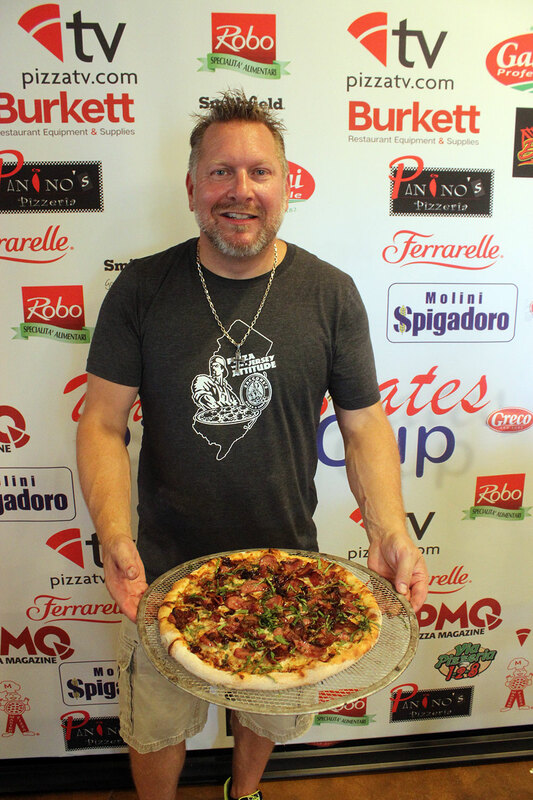 Other competitors for the West Coast Pizza Cup included Sean Dempsey, Dempsey’s Brewery, Pub & Restaurant, Watertown, S.D. ; David Sommers, Mad Mushroom, West Lafayette, Ind. 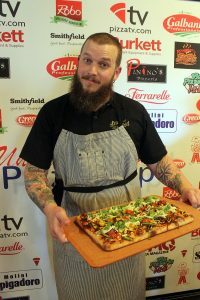 ; Jason Samosky, Samosky’s Homestyle Pizzeria, Valley City, Ohio; Matthew Lyons, Tribute Pizza, San Diego, Calif.; Dominic Tedesco, Dominic’s Table, La Jolla, Calif.; Frederico Santos, Square Pizza Co., San Diego, Calif.; and Faro Trupiano, 127 West Social House, Fallbrook, Calif. 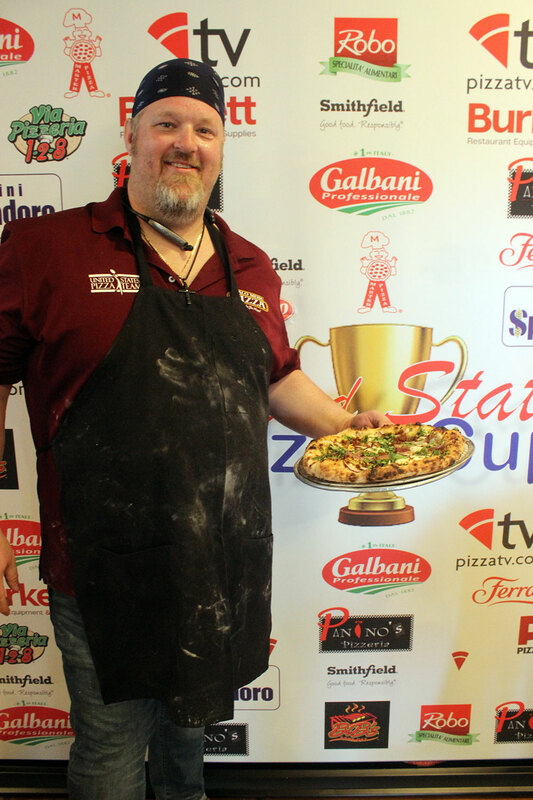 This year’s Classico winner is sponsored by the U.S. Pizza Cup Title sponsor and USPT Platinum sponsor Galbani Professionale. 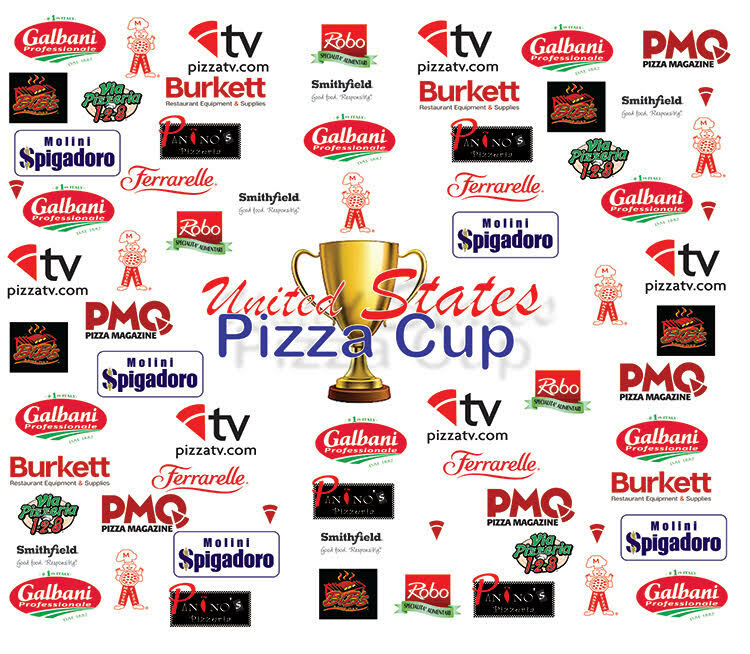 Event sponsors for the West Coast U.S. Pizza Cup are Galbani Professionale, Marra Forni, Burkett Restaurant Equipment & Supplies, Ferrarelle, Greco, Smithfield, Robo Specialita’ Alimentari, Molini Spigadoro, Via Pizzeria, Bibs, Panino’s Pizza, Master Pizza, Dominic’s Italian Restaurant, Jacmar Foodservice Distribution, Regal Wine Company, the USPT, PMQ Pizza Magazine, and PizzaTV. For more information about this event or the U.S. Pizza Team, contact Brian Hernandez at 662-234-5481, ext. 129, or brian@pmq.com, or visit uspizzateam.com. For more info on the Galbani brand, please visit lactalisculinary.com/brands/galbani.